Great shots of the snail!!!!!!!!!!! Is it a specific type of snail? Love the detail and the stripes you can see on it! Surface wrote: Great shots of the snail!!!!!!!!!!! Is it a specific type of snail? Love the detail and the stripes you can see on it! Thanks. 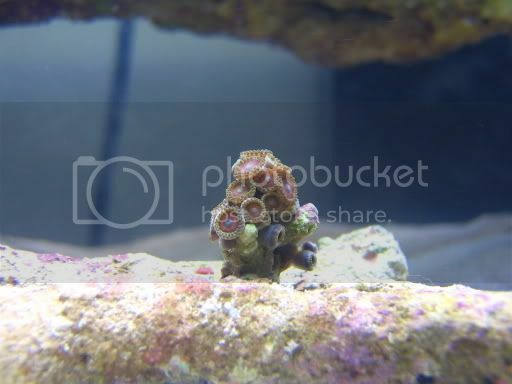 The snail in the pic is a Astraea Snail and I have 4 in the tank. Hehe - we call them Turbo Snails here - so sweet! 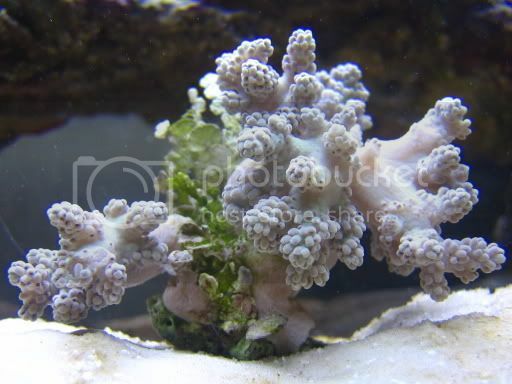 I will post pictures of the new coral soon. 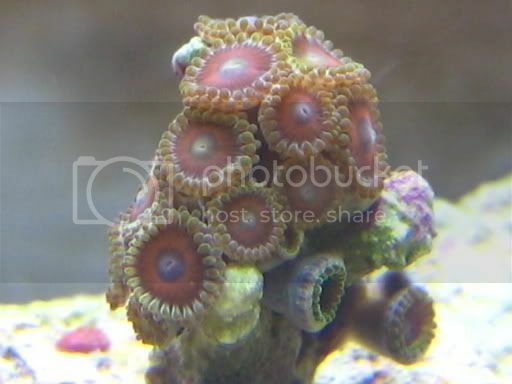 Update: Here are a few pictures of my Zoa colony and new Cleaner shrimp I add to the tank. How big is that colony? it looks tiny on the first pic, but huge on the third! 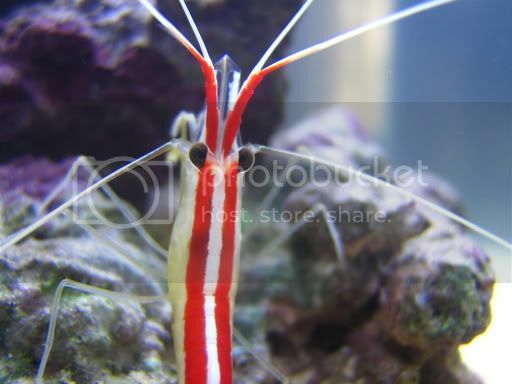 I think the shrimp looks like that because of the lighting, it really helps to bring the colours out on it. Great pictures, what colour morph are those Zoos? That is one FUNKAH shrimp! The colour bands are so clear - very nice! Yes - what morph are the zoos - they're an unusual colour! KittyKat: The colony is about 1" in diameter, so yeah it is tiny. 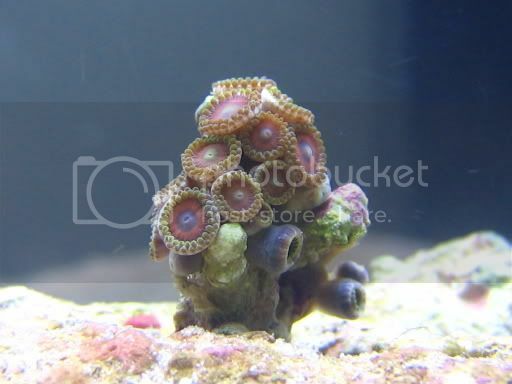 There are about 15 maybe 20 polyps. 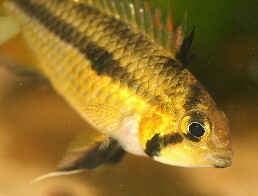 Kev: The color morph was not labeled at the fish store but from what I can tell they are Eagle Eyes. If you have a different guess I would love to hear it. 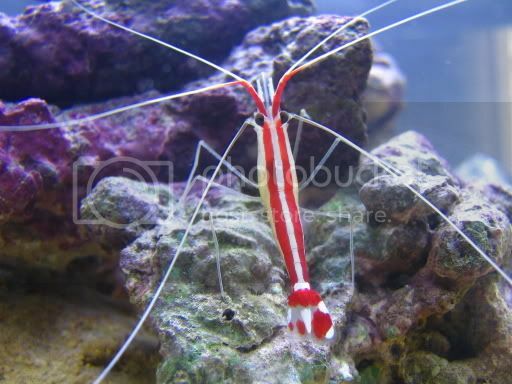 Yeah the Cleaner shrimp has very bright colors, but the light does make the colors stand out more. 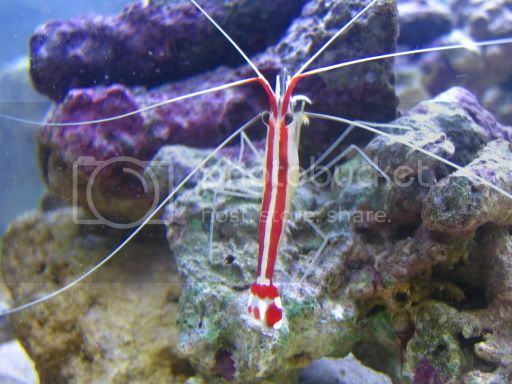 I'm thinking of picking up another Cleaner shrimp as they do prefer the company of their own kind. go for it they definately do like their own kind! that's a very nice colony! 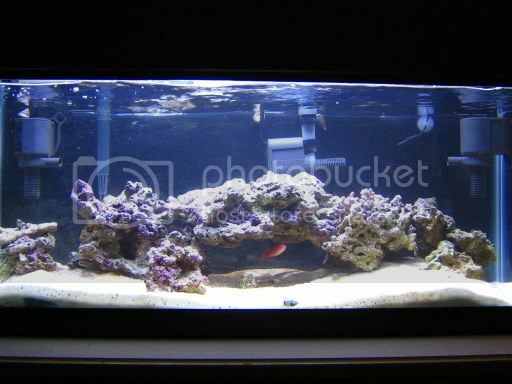 would be perfect for a nano reef ^_^ how much did you pay for it? KittyKat wrote: that's a very nice colony! 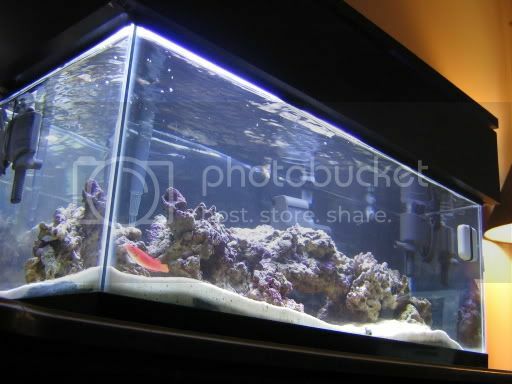 would be perfect for a nano reef ^_^ how much did you pay for it? Well I payed $10 which is a decent price from what I've seen. The tank has been doing great. I added a few more snails to assist with cleaning, and my last fish which is a small Fairy Wrasse. Also added two Mushrooms, and a Capnella coral. 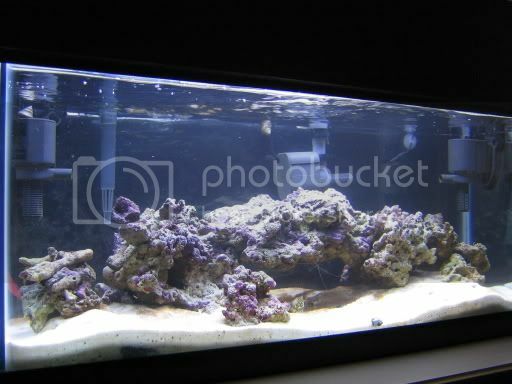 Looks to be a nice selection there :tup: which other corals are you planning on adding?